Wallabies fullback, Israel Folau is a popular Australian professional rugby footballer that was yellow carded for his actions and is about to undergo a disciplinary World Rugby hearing after the citing commissioner as per World Rugby’s regulation no. 17, on an undeclared date. 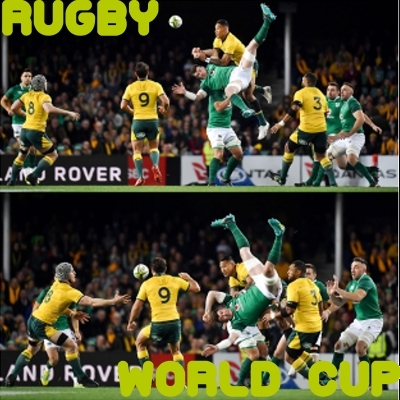 Yesterday, on June 23rd, in the Australia vs. Ireland match, that was successfully held in Allianz Stadium, Israel Folau was first yellow carded and sin binned for non-essential contact with Peter O’Mahony, the Ireland captain and an Irish rugby union player, through in the 31st minute of the aerial challenge. After the high ball was consented at a restart, the citing commissioner pointed out Israel Folau placing his left arm on Peter O’Mahony’s chest, after which Peter O’Mahonywas seen awkwardly toppling and then crashing with his neck and shoulders hit the stadium turf, concussed. After which, he was taken off the grounds on a stretcher, in just 30 minutes. The citing commissioner firmed about that Israel Folau’s act was equivalent to that of the yellow card offence. Therefore, Israel Folau was sin binned for this act, also requiring a disciplinary hearing under the World Rugby regulation no. 17 for the same, whereas, a particular date for Folau’s hearing has not been declared yet. However, SANZAAR has predicted that there is a likelihood of Israel Folau of being potentially banned across all forms or rugby, for his aerial challenge actions. Whereas, the Irish rugby fans are enraged at Israel Folau for the bewilderment. However, Peter O’Mahonywas seen hitting the grounds thrice, with Israel Folau found around each time he fell, just within the opening half an hour of the match. Both the players, Peter O’Mahony and Israel Folau were going all out heating up the game, kicking off the ball and Peter O’Mahonywas seen hitting the grounds each time. The first fall got Peter O’Mahony on his back within 5 seconds, but keeping up his spirits high, he rose up straight again within just 50 secondsof his fall. Later, around 12 minutes of the first fall occurred, both the players were seen tangling in all over again, but this time the tangle seemed like a fair contest. It was a 28 minutes long strike when Peter O’Mahony was seen awkwardly topping his neck and shoulders on the ground. The last fall was wicked, making Peter O’Mahony leave the grounds. Post fall, Pascal Gauzere, the referee, was just about to give Ireland a penalty. Jonathan Sexton, the Irish rugby union player, impelled him to go to the Television Match Official for decision. After which TMO stated penalty and yellow card for Israel Folau. Besides, Irish fans are appreciating Peter O’Mahony’s moves for standing up for his team, against the competitor each time he fell, despite the rough times he faced. They are appreciating his acts by calling him a “superhuman” in spite the “super falls.” With this being said, strength does not come from the physical capacity, but the unperishable will.